Does your dream of a Hawaii life include a private waterfall on your Big Island property with views of the Pacific Ocean? Are you looking for a Hawaii property with lush tropical vegetation where you can pick your own fruit from your backyard? 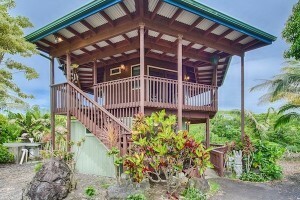 Two of my new Hamakua property listings are well suited for folks looking to relocate to Hawaii. 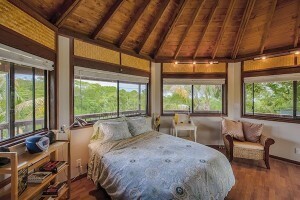 This octagonal-shaped Onomea home overlooks your very own waterfall from the second story lanai! Stunning views are available in every direction of the 688-square-foot, 1 bed/2 bath home, which is offered at $798,000. Because the living quarters are on the second floor, you feel as if you are living among the treetops. Turn in one direction and your senses are soothed by the sight and sounds of the waterfall. 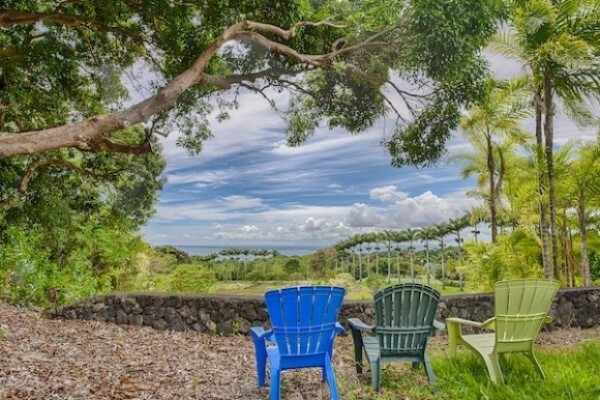 Take a few steps and enjoy views of the Pacific Ocean and Hilo Bay. Those seeking privacy will appreciate the more than 15 acres of lush tropical landscaping. In fact, the landscaped grounds include palm trees, bamboo, and tropical fruit trees. Enjoy fresh tropical fruit picked from your yard as you sit on the lanai with your morning coffee and watch the sunrise over the ocean. 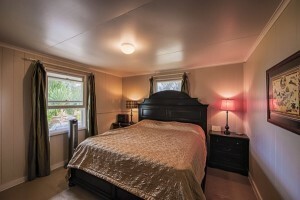 This Onomea property offers the best of both worlds with the privacy and seclusion that comes with a large parcel of Big Island land, yet is only a quick 10-minute drive to Hilo, the second largest city in the state. 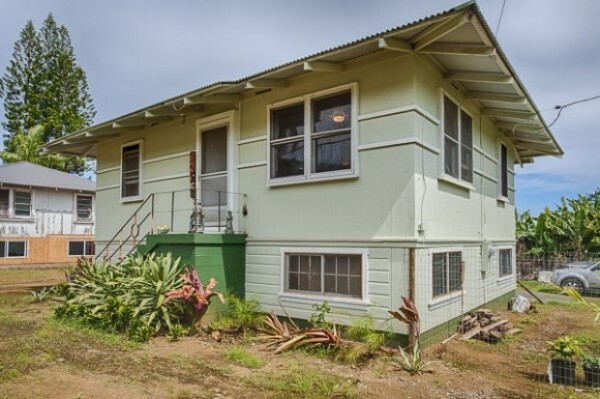 Another charming Hamakua property is this recently renovated Ninole home offered at $279.000. 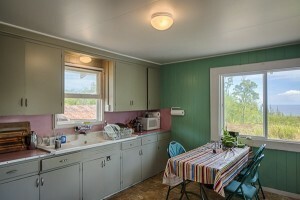 Originally built in 1937, the quaint plantation home features two bedrooms and one bathroom. One of the things I like about this home is that you can enjoy expansive Pacific Ocean views while sitting with friends around the kitchen table, or dine outside on the newly landscaped lawn. Situated on one half-acre, the 720-square-foot home (MLS 268086) has a full basement, which can be turned into a family room or additional bedrooms. There are unlimited possibilities with this home! With its relaxed lifestyle, yet close proximity to the economic hub of Hilo, Ninole is a much sought after community along the Hamakua Coast. Check out my previous blog post about the benefits of living in Ninole. For information on these and other properties, give me a call today at (808) 963-6880 or email Beverly@beverlymolfino.com.